At Leisureshopdirect.com we have got a bit of a name for ourselves as one of the UK's leading suppliers of caravan fridges, stocking as we do not a vast range of caravan fridges but also the component caravan spares for fridges and freezers that you will need to repurpose and refurbish your existing appliances when they begin to show a bit of wear and tear. So, this section of our caravan and motorhome appliances is dedicated to that one aspect of touring that really sets it aside from a basic camping holiday: cooling! Cooling Scenario A: You reach your campsite after a few hours of hot, dusty driving. With the ‘van expertly (!) parked, you open your caravan fridge and reach for a cold beer. Cooling Scenario B: The same above-mentioned campsite arrival and expertly parked van scenario but this time you open your motorhome fridge and reach for a glass of Presecco or Pinot Grigio. You get the picture. Having a reliable, space-economic and efficient caravan fridge or motorhome fridge that doesn’t hum all night or chuck oodles of unwanted heat out into an already stuffy ‘van is a must-have for a comfortable touring break. Those of you refurbing a much-loved ‘van or re-purposing a pre-loved motorhome you have only recently got your hands on will find Dometic, Waeco and Thetford caravan fridges listed on these pages. They come in a variety of shapes, sizes and volumes so, even if you are looking to fit a caravan fridge in a teensy nook of your beloved home-from-home, you are likely to find what you need listed here. 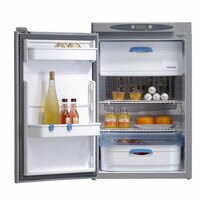 At Leisureshopdirect.com not only do we stock a comprehensive range of Dometic, Thetford and Waeco caravan fridges for your home from home, we also stock a huge range of fridge spares and parts, so that you can replace the component of your motorhome fridge or caravan fridge at a relatively low-cost rather than having to replace and fit more expensive, whole units. 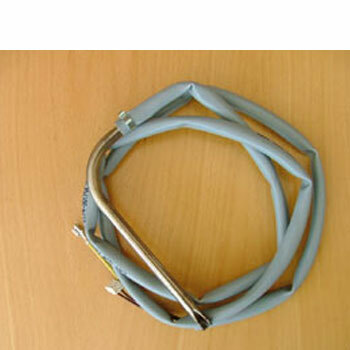 We stock power cords, installation frames, ventilation panels and thermostats. We even stock replacement fridge door catches – they may seem insignificant, until they break, that is! We have personal experience of spending a motorhome holiday with a greedy Labrador and a faulty fridge door catch…not a relaxing experience. Effective and reliable caravan refrigeration is increasingly becoming important as people rediscover their love of the British countryside. Thanks to airline disruptions and a desire to find out what the British Isles have to offer, caravan parks and other places offering accommodation have never been busier. And as mobile, as well as static, caravan owners join the bandwagon, ensuring caravan fridges for caravans are in tip top condition ahead of any holiday is vital. Those whose machines may be experiencing problems will be glad to hear that spares for caravan fridges are in abundance. 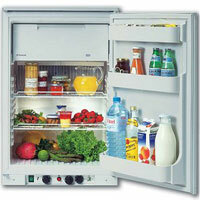 Dometic caravan fridges are among the options available to those looking to invest in caravan refrigeration. These caravan fridges are available in a wide range and their varied size means they could be used in small, as well as large holiday homes. 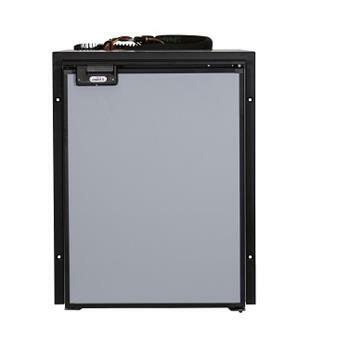 One of the options worth checking out is the RM4281 LM Dometic caravan fridge, which is an absorption fridge ideal for both motorhomes and caravans. 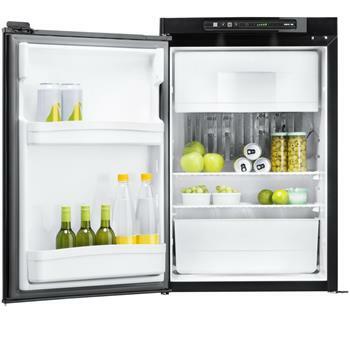 Equipped with a frozen food compartment five litres deep, the fridge is designed for electronic re-ignition and three-step manual gas operation. It also boasts thermostatic control on gas and mains operation and features an anti-burst double door lock. Dometic coolboxes for caravans are also another option that could be ideal for those who do not have much space to spare or want something they can easily move around. People who like spending long periods on the road will be glad to hear that with Thetford caravan fridges, they will always be comfortable on their journey as these products are designed to meet exacting standards. Caravanners opting for these refrigerators can take confidence in the fact that their sleep will not be disturbed by the unmistakable din of a working machine because they are designed without a compressor. 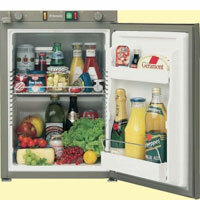 This means the caravan fridges are far quieter compared to other products. 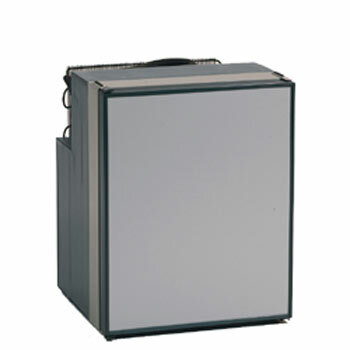 This range of caravan fridges includes products such as the Thetford N80, which is the most compact model of the Thetford Norcold line of refrigerators. The refrigerator, including the freezer compartment, has a gross volume of just 80 litres, but its design means it can take in quite a lot. Waeco caravan coolboxes are also among fridges for caravans worth considering by anyone looking to spend some time on the road or outdoors. Designed to be easy to move around, these range of products includes the T35 Waeco Mobicool coolbox, which is a 35-litre thermoelectric accessory. This caravan coolbox is designed with ease of use, convenience and practicality in mind because it features two circular openings that mean there is no need for the cooler to be fully opened if in need of a cool drink. It also comes equipped with a standard three-pin household plug that connects to the power supply and a car cigarette lighter socket that also allows similar connection. All these caravan refrigeration products are designed for durability, but should they develop a problem after a while spares will be readily available from specialist online shops and other retailers.